10 days in Fiji already sounds like a dream. Add on whitewater rafting, snorkeling, riding on a catamaran and a jet boat, ziplining, hiking to two waterfalls, visiting 5 resorts and a village, and driving buggies and it starts to sound like The Amazing Race. 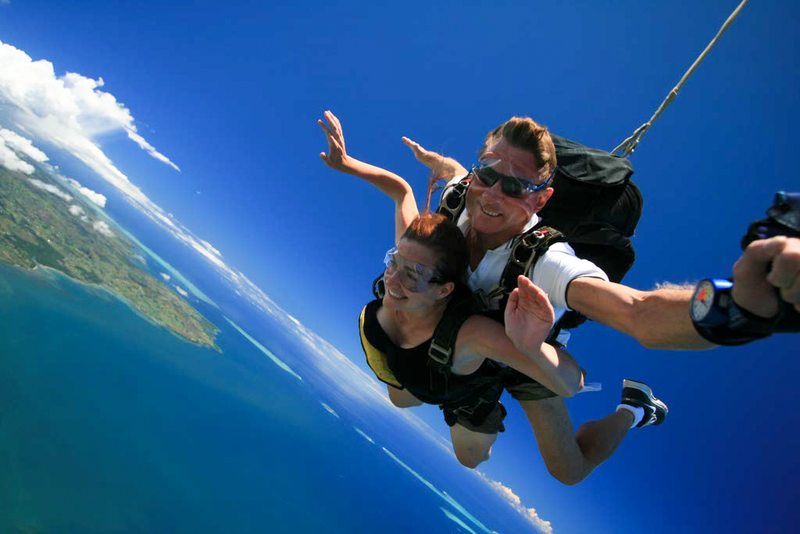 Just when I thought it was physically impossible to add any more to our itinerary, we decided, on our last day in Fiji, to take the plunge and jump from an airplane with Skydive Fiji. Jumping from 14,000 has its advantages. The flight was almost 20 minutes over one of the most beautiful coastlines in the world. Normally being crammed into such tight quarters with 5 other people would have caused me great anxiety. I don’t even like riding in an elevator with others because I feel trapped, but the view was mesmerizing and kept me distracted. 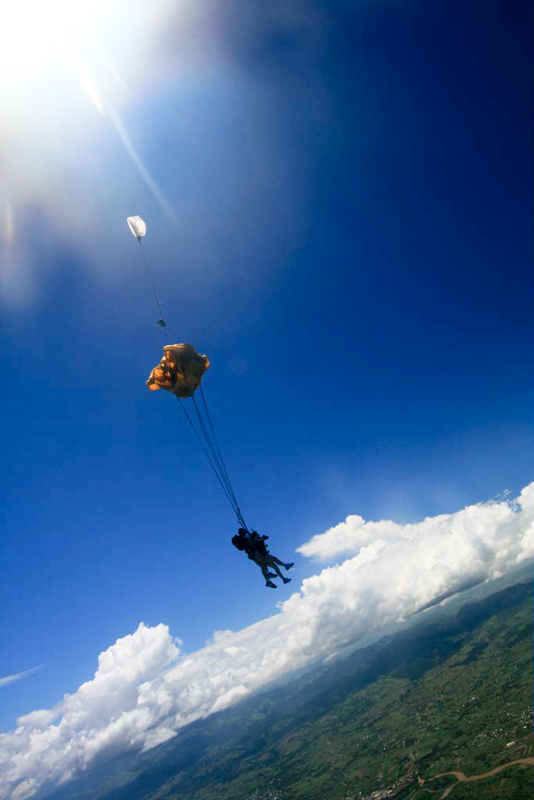 I knew we reached our desired altitude when the instructor attached to my friend, Stefanie, opened the door. I thought jumping second would give me some time to process everything that was happening but I never realized that that’s not always the best thing when you’re about to do something totally unnatural. Shifting from the back of the plane to the door seemed endless and it was like I forgot how to breathe. I focused on my instructor, Tim, and mimicked his movements until my feet were hanging outside the plane. It doesn’t get much more intense than hanging out at 14,000 feet. When he pulled my head back, I knew we were about to jump. I embraced the fear, opened my eyes, and smiled for the camera. The first two seconds are the most extreme and adrenaline filled. I could feel my feet flip over my head and the complete lack of control was liberating. My life was in someone else’s hands. I was free, uninhibited by daily worries or restrictions. During the free fall, I had time to focus on the cameraman, pose for photos, look around, think about how warm the air felt against my body, and adjust my top that was blowing in the wind. That’s a lot of processing while plummeting through the air at 200 km/h! 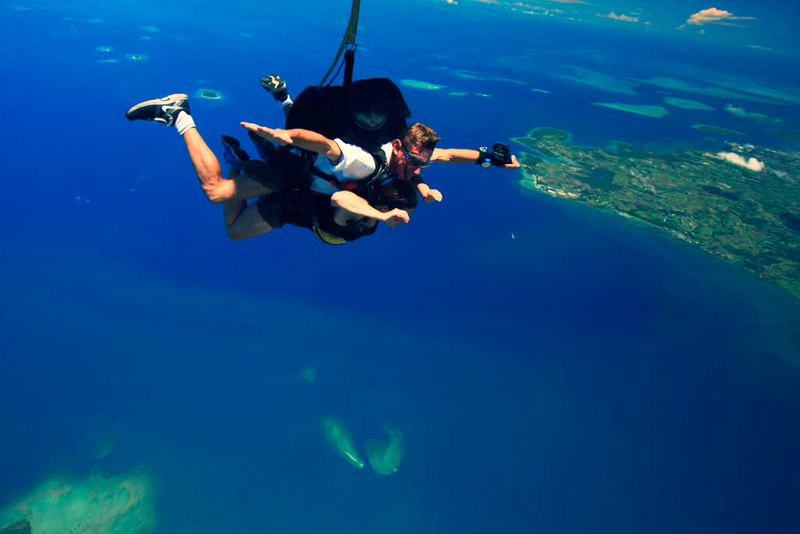 The free fall is, without question, the best part, but when the parachute opened I was able to see Fiji from a different perspective. With nothing obstructing my view, I soared above the islands, trying to take in as much as possible. This is what dreams are made of! When I’m 65, 70, 80, or beyond, moments like these will remain ingrained in my memory. What a thrill! So on my list. Sounds like you have to pay attention to how you dress for such an wind whipped activity. PS: Thank you for liking my entry on Barcelona. Coming from someone with thousands of followers and millions of page views, I am truly honoured. I’m just at 2,000 right now so I have a looooong way to go! That is soooo awesome! I have been wanting to skydive, but just haven’t gotten to yet. Your choice of location was absolutely perfect, I couldn’t imagine a better setting. Great pictures! 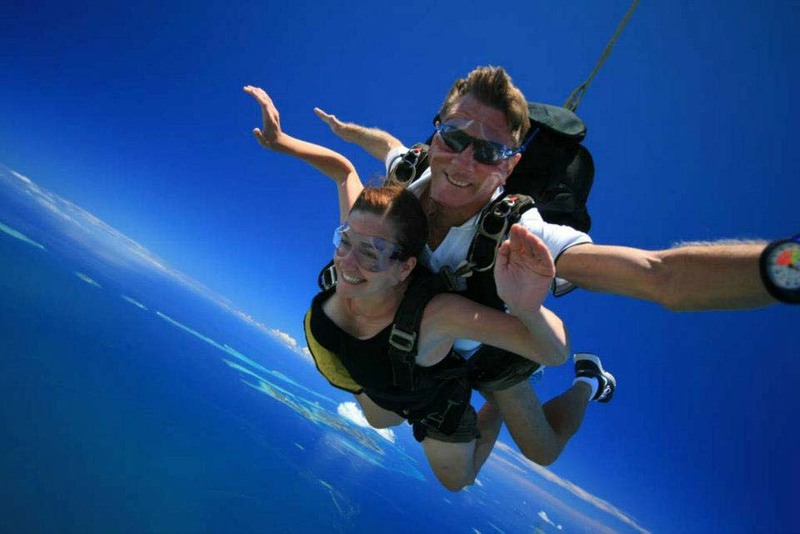 I couldn’t never skydive…but I’d love to swim in that blue water!